"We RECOMMEND Michael to anyone who wants an Amazing, Comical, and Professional Entertainer!" Entertain & Engage Your Guests! Michael Mage has a proven track record of corporate entertainment success across the United States. Besides the laughs, gasps and thunderous applause, you can also expect a performer who is easy to work with. He’ll collaborate with you to help make your event perfect. Get ready to connect your company in a fun, positive, memorable, and meaningful way! Reserve an unforgettable experience today! 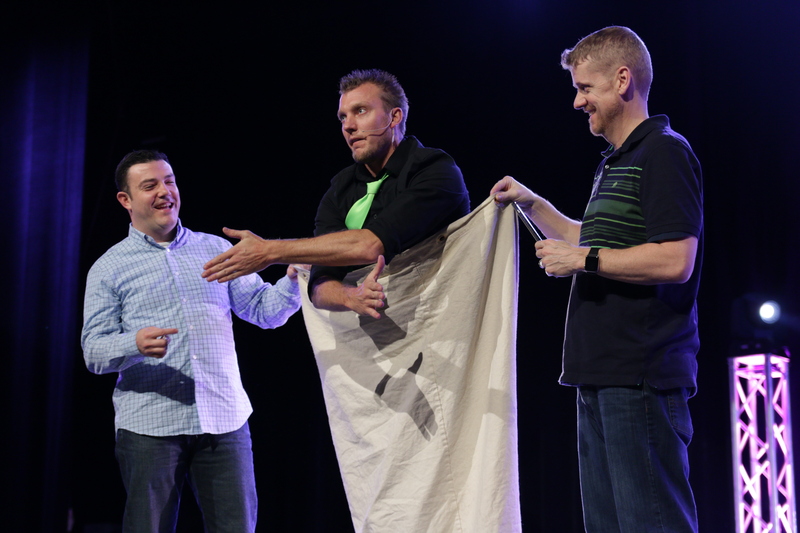 Designed for corporate audiences, Michael’s unexplainable magic has elements of mystery, improv & stand up comedy. The show is focused on clean entertainment & engagement, can be adapted to any venue, and is guaranteed to be the hit of your event! Your guests will be taken on a hilarious experience and remember it was because of you and your organization. "You were a BIG hit at our Service Awards!! Thank you for coming all the way to Texas to entertain us! Already excited to have you back next year!" During the cocktail hour of an awards banquet, private party or corporate event is when guest engagement needs to be highest. This is the first chance you have to make an impression that lasts. Magician Michael Mage will mingle with your guests showing small groups unexplainable magic and mindreading inches from their eyes and in their hands. Your guests will be laughing and connecting with new people while being left with a memorable front row experience. Phenomenal! Everyone is still raving about how you got that card in your shoe! Host a Corporate event that everyone will be talking about… even long after it’s over.